Confirmation payment is due 100% in advance by Paypal or bank transfer and is guaranteed by KoLanta.net. Trips must be booked a minimum of three days in advance of the first pick up date. Kolanta.net is not responsible for plane delays/rescheduling and missed flights by the customers unless we are informed of change in plans 24 hours prior to the orginal flight arrival. For assistance in Thailand please call 081 445 3774. This is a direct and private rental of air conditioned VIP Minibus complete with a driver for 1-6 people. 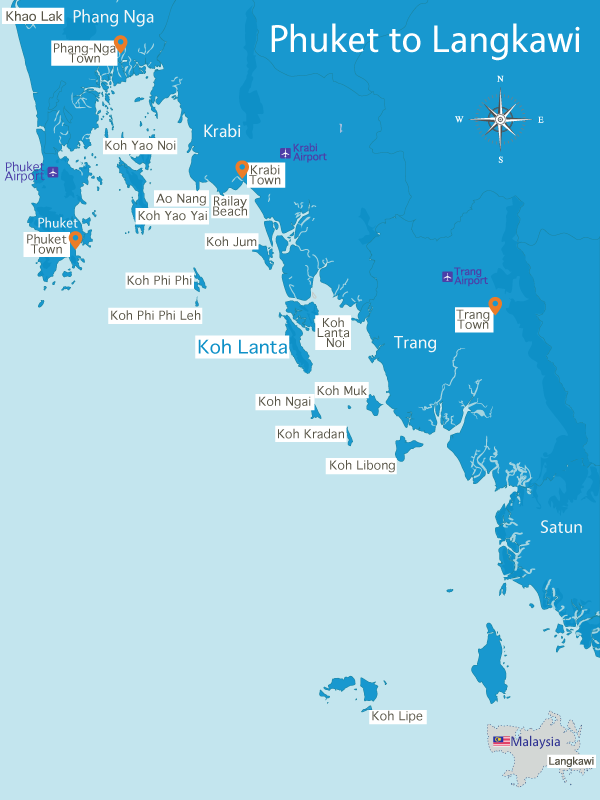 The door to door service to/from Krabi or Phuket International Airports (and surrounding areas) to Koh Lanta includes pick-up and drop off service. The trip takes approximately 2-3 hours between the Krabi Airport and Koh Lanta and 4-5 hours between Phuket Airport and Koh Lanta depending on car ferry lineups. Rates are for 1- 6 persons with luggage. Price does not include the ferry costs of 23 Thai Baht per person. An extra 300 THB is charged for Old Town or Far South Beach pick-ups/drop offs.